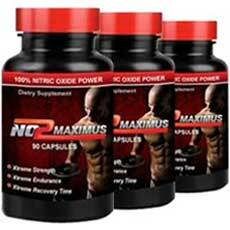 NO2 Maximus Review | Does NO2 Maximus Work? When you look in the mirror what do you see? For anyone who considers themselves to be a bodybuilder this is a very important question. That's because there are millions of people in this world who pump iron but there is a select group who are in pursuit of a much higher goal and that is to achieve the ultimate body - to transform themselves into gods among men. And, to those in this elite group there is one thing that they constantly strive for and that's to maximize the benefits they gain from each and every workout, recovery period and dietary choice. Furthermore, these superior athletes know that to truly reach their lofty goals they must go a step further to incorporate the very best in supplements that will boost the gains from everything else they do. Unfortunately, this task in made all the more difficult because there are so many choices from so many producers crowding this multi-billion dollar industry and many of those choices, as appealing as many of their slick marketing efforts may be, are not nearly as effective or safe as the handful of truly great bodybuilding supplements that dominate the market. Knowing this, the question then becomes - how do you know which of these ever so important bodybuilding supplements is right for you? That is the question we are here to talk about today. So, with all of that in mind, we, in our continuing efforts to help our readers find the products that are right for them, have decided to take a long hard look at one of the most talked about bodybuilding supplements available today - it's called NO2 Maximus. Produced and distributed by NetMarkets, LLC of New York, NO2 Maximus is a rare breed of bodybuilding supplement in that it is produced as two separate and distinct formulas - One for US consumption and the other, produced in the UK, for other parts of the world. It should be noted, however, that both formulations are manufactured in GMP approved facilities even though they have not yet been evaluated by the FDA which is common for many products of a similar nature. One thing about both formulas is that they are made using a proprietary blend of ingredients which, in essence, just means that the producer wants to keep the exact ingredients and quantities under wraps and away from their competitors eyes. The base elements of both formulations are centered around the key active ingredient known a L-Arginine which is an essential amino acid the promotes an increase in the body's production of nitric oxide which then facilitates improved blood flow and a significant increase in the flow of oxygen and nutrients to the various organs and muscle groups. This allows the various muscle groups to reap the maximum benefits of all the work that is done in trying to make them grow as part of the high level training methodologies employed by the most serious and dedicated bodybuilders. As we mentioned earlier, NetMarkets has decided to keep the details of their two proprietary formulas to themselves and, therefore, there is no exact list of ingredients that we can provide. In its place they do provide a detailed list of ingredients that was apparently published for the purpose of providing information that would be helpful, if not completely necessary, for those who must know the base ingredients so that they can avoid any effects related to allergies or allergic reactions. As any experienced consumer or products related to the bodybuilding industry knows, the producers of these products get to pick and choose which user reviews appear on their official websites and, therefore, obviously select only the most positive and glowing reviews and testimonials to appear. And, in the case of affiliated resellers such as online retail outlets, there is often an attempt to stuff the user reviews with positive posts. Given that this is the case, we decide to seek out a more diverse and unbiased set of reviews - ones that would give our readers a more balanced idea of what real users have to say about NO2 Maximus. We did this by performing a standard internet search of many top industry websites and chat rooms dedicated to the subject at hand and trying to avoid those who may have financial connections to NetMarkets or any of its affiliates. What we found was a large number of seemingly independent user reviews from around the world and what's important is that the majority of these unbiased reviews did not have a very positive view of NO2 Maximus or its claims. 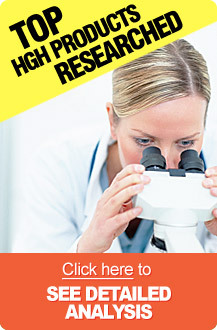 The most prominent view that could be taken away from these negative reviews was simply that, in one way or another, they felt that they did not receive any appreciable benefits from using this product even when using it as directed and for at least as long as the recommended time frame to see significant results. Available through the producer's official website, NO2 Maximus is offered with a 14 day free trial on the first one month supply bottle. Be sure to read and follow the free trial instructions carefully as there are some strict guidelines. At the top of this review we asked our readers what they saw when they looked in the mirror. For the most serious bodybuilders among them the answer should be something like "a god in the making." This is because these are the ones among you who not only know but are willing to make the sacrifices and hard choices that come with the pursuit of the ultimate body. This is why it is so critical to make the right choice when it comes to selecting the right bodybuilding supplement to help them achieve their goals. But, because it is so often incredibly difficult to find the product that is right for them it really helps to do their research and make a decision based on facts and results as opposed to slick marketing campaigns. With regard to NO2 Maximus and its two separate formulas, depending on where you live in the world, there are several factors that need to be considered when it comes to knowing if this is the bodybuilding supplement that is best for you. The first thing is that the company's choice to keep their two formulas proprietary makes doing a factual, nut and bolts comparison all but impossible. The second consideration is that we could find no evidence of any research, clinical studies or trials that were conducted on the specific formulations which just simply means that, even though there is evidence that some or even all of the ingredients may have some benefit, these specific formulations have not been scientifically tested and proven to be effective. The last consideration is that the majority of independent user reviews were overtly negative in their evaluation of the benefits and visible results that they achieved using NO2 Maximus. Pulling together all of the facts associated with NO2 Maximus there is little reason to believe that either of their formulas has given anyone a reason to consider them among the best possible options when choosing a bodybuilding supplement.